Fill your bobbins evenly with the squeeze-and-slide stainless steel hook. Fibreglass arms make these flyers light and strong. The yarn is controlled in the hook as you spin. 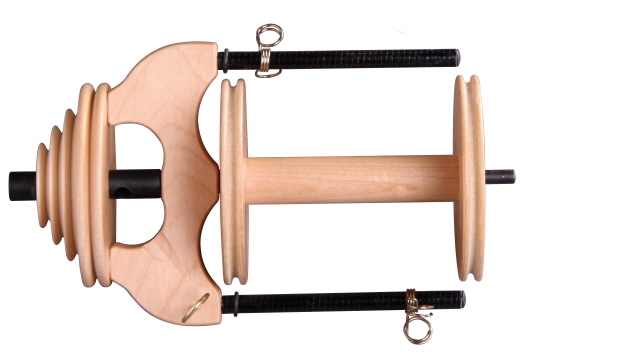 The flyer includes one bobbin. Update your single drive Traditional and Traveller spinning wheels with the standard sliding hook flyer.